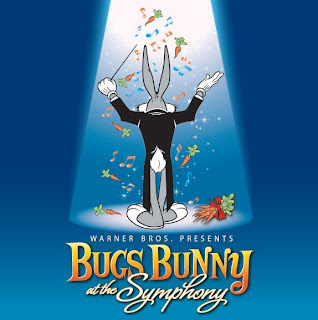 October 5-7, 2012 at the Meyerson Symphony Center, share a delightful evening with everyone's favorite "Wascally Wabbit" and the DSO! 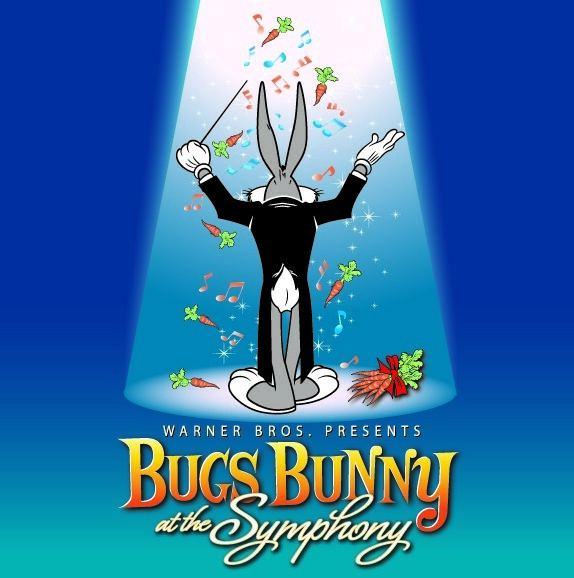 Bugs Bunny at the Symphony will spotlight Warner Bros.' animated characters and cartoons in a celebrated melding of classical music and classic animation. This concert is conducted and created by George Daugherty. The Dallas Symphony Orchestra will also help celebrate the centennial of the birth of Chuck Jones, the master animation director of many classic Looney Tunes cartoons, including “The Rabbit of Seville,” “Long-Haired Hare,” and “What’s Opera, Doc?” A special exhibit of Jones’s original drawings, animation, production designs and memorabilia will be on display free of charge in the Meyerson’s lobby in conjunction with these concerts. Scene from "The Rabbit of Seville"
Additionally, during Friday and Saturday evening’s performances, Chuck Jones’ daughter Linda Jones Clough will present an original art work to the DSO, created by Mr. Jones prior to his death in 2002. The oil giclee painting, depicting Bugs Bunny from one of Mr. Jones’ classic cartoons, will be presented to the DSO for their own collection, as a commemoration to the centennial of Jones’ birth. 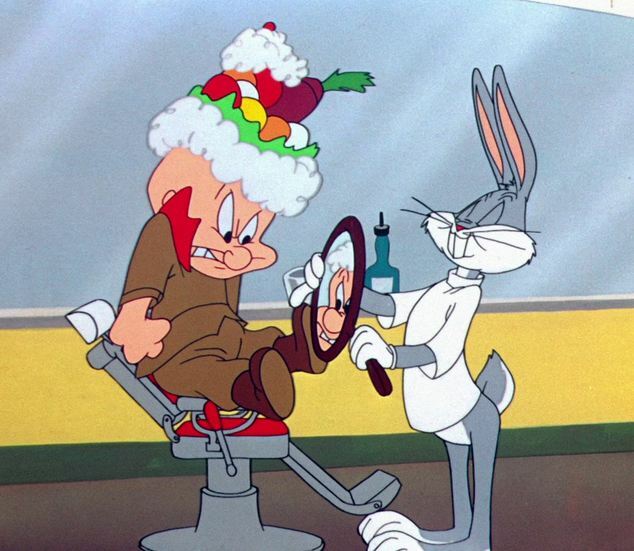 And at the Sunday matinee performance only, costumed actors representing favorite Looney Tunes characters will stroll the lobby, posing for photos and interacting with concert-goers of all ages. Sunday matinee costumed characters are generously contributed by SIX FLAGS OVER TEXAS. WHEN: October 5, 6, 2012 8:00 p.m. October 7, 2012 2:30 p.m.
PURCHASE: Current ticket prices start at $28. For more information, click here, visit DallasSymphony.com or call 214.692.0203. 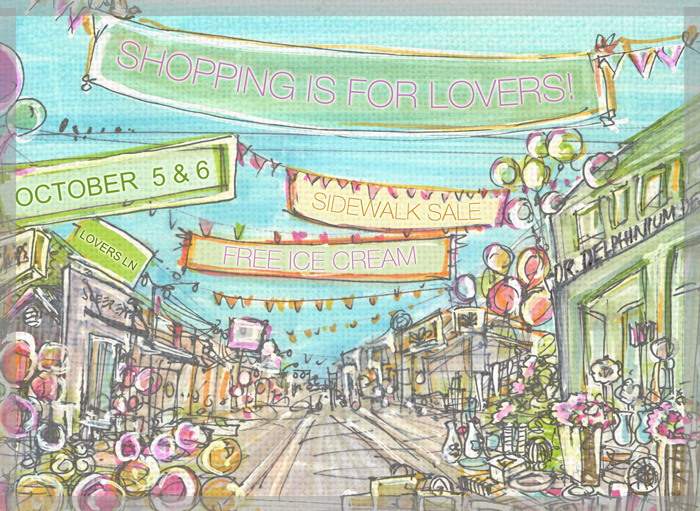 The Lovers Lane Sidewalk Sale will take place October 5th and 6th. Find great deals from boutiques and shops all up and down Lovers Lane (in between Douglas Ave. and the Tollway) from great stores like Strut, Lovers Boutique, Mine and Facelogic Spa. If you need a little sugar fix to re-energize you after all that walking around, you can head over to Chip’s Hamburgers - they will be giving out free ice cream cones from noon to 3PM. 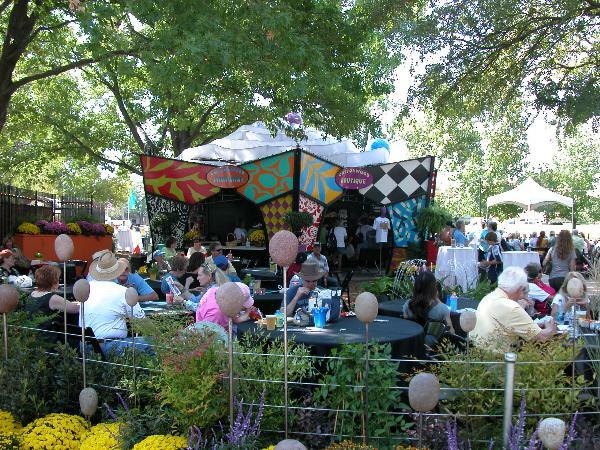 Cottonwood Art Festival is a bi-annual event which features works from the nation's top visual artists including Ceramics, Digital art, Drawings/Pastels, Fiber, Glass, Jewelry, Leather, Metalwork, Painting, Photography, Sculpture and Wood. Located in scenic Cottonwood Park in Richardson this prestigious art show has been a part of Richardson life for over forty years. The next festival will take place on October 6-7, 2012. Cottonwood isn't just about the art, though. The festival also features local bands who perform rock, country, jazz, blues, swing and folk. Be sure to check out the courtyard, where you can sit in the shade by the lake and relax while you enjoy the music. Food and spirits are also available in the courtyard. They have a children’s area called ArtStop where children of all ages will have the opportunity to create a sculpture hat from scrap, design a masterpiece in plaster, add to an enormous collage, or practice their hand at sculpting clay on a real potter’s wheel. Whether you're shopping for art, listening to music, enjoying the outdoors, or making art of your own, Cottonwood has something for you. 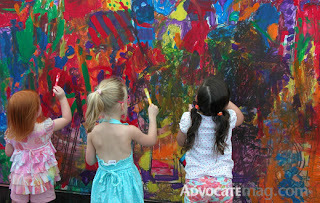 Admission is free and the park is just east of the intersection of Beltline Road and Coit Road. Full details are available at www.cottonwoodartfestival.com.